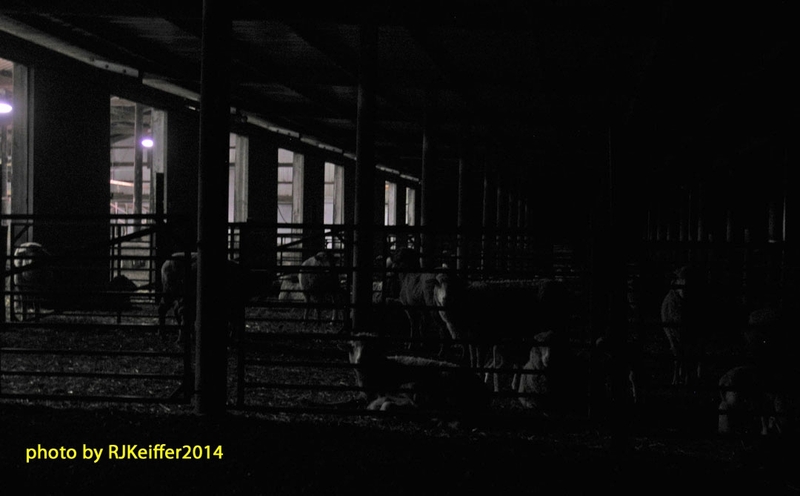 Lambing is still taking place inside the main sheep barn here at the Hopland Research & Extension Center. Once the ewes have their lambs they are, after a day or so, combined with other ewes and lambs in larger "outside" pens. Here you see a rather surreal scene at 4:00AM in the morning. The air was cool and fresh this morning with a bit of a light mist wetting the ground.